The Perceptions of Pregnancy blog, like the Researchers’ Network, aims to reach beyond boundaries and borders, and to facilitate an international and interdisciplinary conversation on pregnancy and its associated bodily and emotional experiences from the earliest times to the present. Today’s post is contributed by Dr Gillian Kenny. Medieval women not only often had the care of children on their minds, they also had the prevention of more children on their minds too. It is difficult to assess to what extent women and couples acted to control their families during the medieval period (for example by using coitus interruptus) but it seems clear from a myriad of sources that women in particular were aware of contraceptive methods and used them. Thomas of Chobham, writing in c. 1216, contended that women engaged in anti-conception acts when engaging in illicit sexual activity in order to avoid the outcome and that others did it to avoid the pain of childbirth. It is important to note that during the medieval period the difference between contraception (preventing conception) and abortion (the termination of a pregnancy) was not clearly understood largely because the fetus was not really considered as such until ‘ensoulment’ had taken place (known as the ‘quickening’ or when the woman first felt it move). Other Churchmen also supported women’s right to control their fertility; the eleventh century Benedictine monk Constantine the African listed medicines for abortion. These included, wormwood, chamomile, valerian, acorus, dill, Queen Anne’s Lace, fennel, celery, onions, parsley and rue. He also cited the juice of willow leaves as a contraceptive which had to be drunk so that a woman “will not conceive”. He believed that regular heterosexual activity was necessary for women’s health, even if pregnancy should sometimes be avoided. The default ingestion method appears to have been oral although some may have been used as pessaries. Contraception during the medieval period was a strange mix of practicality (the use of herbs) and esoterica (the use of ritual and magic). In early fourteenth century France, a young woman and suspected Cathar heretic named Beatrice de Planissoles told her Inquisitor of how her male lover, a priest, made her wear a contraceptive amulet when they made love; he was always sure to take it back from her when he left, lest she take another lover. The use of such an amulet was earlier recorded by Avicenna who refers to a ‘scolopendria’ a type of saxifrage was supposed to prevent pregnancy when hung around the neck. The example of Beatrice raises an intriguing point with regard to medieval contraception: to what extent was the male partner privy to and supportive of the act of anti-conception? As coitus interruptus was controlled by the man and, as Beatrice’s case demonstrates, men also had knowledge of and an interest in preventing contraception- to what extent did women control their own fertility during the medieval period? Rather than being a solo decision, for many women it may have been a joint choice about the size of their family, much as it is for couples today. 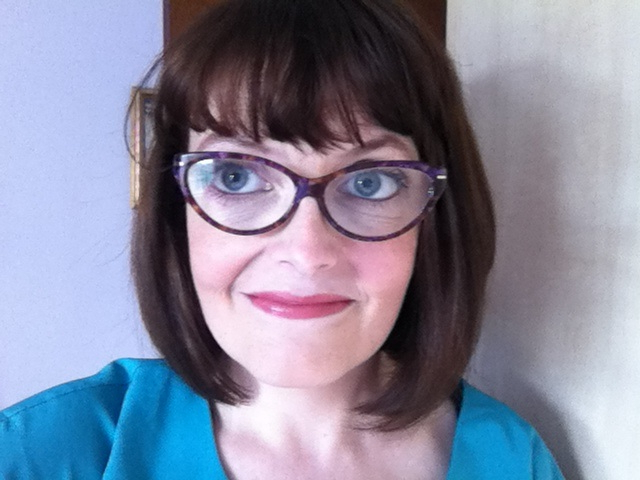 Dr Gillian Kenny is a specialist in the history of women in Ireland and Britain during the later medieval period. She has published widely on women’s lived experiences and, in particular, how cultural exchange affected both theirs and their children’s lives. Her book, Anglo-Irish and Gaelic women in Ireland c1170-1540, traces Gaelic and English women during that period. She is a regular contributor to television and radio history programmes. Biller, P.P.A, ‘Birth Control in the West in the Thirteenth and Early Fourteenth Centuries’. Past and Present, 94, (1982) p. 16. Riddle, John, Contraception and Abortion from the Ancient World to the Renaissance (Cambridge, Mass. And London, 1992) pp. 109-10. Noonan, John Thomas Jr., Contraception: A History of Its Treatment by the Catholic Theologians and Canonists, (Cambridge, Mass., 1986), pp. 162-70. This entry was posted in Blog Posts and tagged abortion, coitus interruptus, contraception. Bookmark the permalink.